One of the points I stress through the entire sixteen weeks of my MBA IT classes is that most IT project failures – and by some estimates over 60% of all significant IT/IS installations are “challenged”– is that the majority of the problems encountered are people problems, not technical problems. Despite the increasing technical sophistication of MBA students in general, this fact is still surprising to many. In the vast majority of cases of full or partial information system failure, the hardware and software work exactly as specified, and the failure can be traced back to one or more common management misunderstandings, which lead to failures in change management for the systems project. Arguably the most common misunderstanding is the underestimation of the complexity – in organizational terms – of non-trivial information systems implementations. All non-trivial IS implementations change business processes. This is another point I stress and on reflection it is easy to see that it can be no other way. Even the most sophisticated software is fixed in terms of the information it requires to function. Gathering this information at the level of detail and in the sequence required is a process, sometimes a very fundamental one, and often a process that is new to the organization if not actually counter to existing processes. When management underestimates the amount of change required by the system implementation they do not adequately prepare operations personnel. The result is resistance to the new system and in some cases passive aggression toward the system that is tantamount to sabotage. Some systems never even survive to full installation due to underestimation of the complexity and corresponding effort of implementation. A very common problem results from expecting operations personnel to handle data/information transfer to the new system while continuing to perform the full range of duties of their current job. In a surprising number of instances management does not even offer overtime or other extra compensation. What is unsurprising is the inevitable resentment and confusion among operations personnel that frequently causes installations to drag far behind schedule, negatively effects normal business functions and can result in significant employee turnover. Another factor that frequently accompanies underestimation of the IS project is inadequate training in the new system. Occasionally the need for both training and backfill (backfill is the hiring of temporary employees to assist in the installation of a new system) is recognized by management but is not pursued due to cost considerations. This has been shown in many unequivocal studies to be false economy. The cost of training, backfill and other implementation support, such as consulting, should be acknowledged by management and factored into the overall cost/benefit calculation for the system. The mindset that results in underestimation of IS complexity is sometimes termed ‘an appliance mentality,’ that is, the system is regarded as a refrigerator or washing machine might be. You plug it in and it works, right? Alas, no, however studies have shown that this attitude increases as the management hierarchy is ascended. 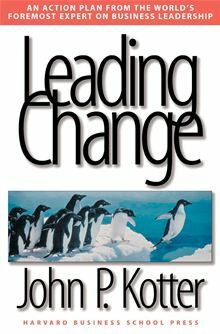 C-level executives, without whose support no project can be expected to succeed, exhibit surprising ignorance of technology, even today. Another entire set of problems, even more intractable than system complexity underestimation problems, arise as a result of non-technical management giving or surrendering control of information systems projects entirely to technical personnel. If control is relinquished to solely technical personnel early in the project, the problem is frequently a technically correct system that solves the wrong problem. One technique for correcting this set of issues is dual managers, one from IS/IT and another from the business side of the house. While common in Europe, this management style has yet to gain widespread acceptance in the US. William L. Kuechler, Jr., Ph.D.
William Kuechler is professor of information systems and chair of the information systems discipline at the University of Nevada, Reno. He holds a bachelor’s degree in electrical engineering from Drexel University, and a Ph.D. in computer information systems from Georgia State University. When asked to name a product associated with a specific country, people are generally quick to respond. There seems to be a clear sense among people worldwide about which companies from which countries dominate industries. For instance, German companies dominate engineering based industries, whereas Switzerland is clearly associated with dairy-based products such as chocolate and cheese in addition to banking, precision instruments, and pharmaceuticals. Why? How do companies from a specific country develop superior competence in specific industries? Michael Porter (Harvard Business School) addressed this question and published his findings in The Competitive Advantage of Nations (1990). He conducted a four-year, ten-nation study of the patterns of competitive success in leading countries. The findings support the results of previous research that companies achieve competitive advantage through acts of innovation. Porter’s primary contribution from this research is the conclusion that a nation’s capacity to innovate is affected by four broad attributes, the “diamond” of national advantage: 1) factor conditions; 2) demand conditions; 3) related and supporting industries; and 4) firm strategy, structure, and rivalry. These factors represent the domestic conditions companies face, that affect the level and type of innovation companies engage in. Switzerland, chocolate, and cheese – the first component in the diamond, factor conditions or endowments play a role here. Porter differentiates between basic and advanced factor endowments. Basic factors are domestic conditions such as climate, land, natural resources, and population size. Advanced factors include education, infrastructure, and technology. During the agricultural phase of economies, the economic development of Switzerland was constrained by the type of land (rocks, not fertile) available. As a result, the Swiss agriculture was founded on a focus on dairy rather than on farming – resulting in superior expertise of “anything dairy related” and a competitive advantage in that area. Important to note is that Porter concluded that for sustained economic development advanced factors are more important than basic factors. What about German engineering? Demand conditions in the domestic market direct where companies will place the relative emphasis with respect to product characteristics. What is most important to domestic consumers? Product quality, price, innovativeness, customization, or variety? Consumer preferences are in part based on the cultural characteristics. Germans are known to avoid risk and to prefer structure and predictability. Hence, German consumers look for products that are reliable, high quality, precise. German companies have been challenged to meet such preferences and have developed a competitive advantage based on the technical expertise that allows them to design and deliver products with such characteristics. In the U.S., computer-related industries are well developed and internationally competitive. This has been a great advantage for American computer manufacturers, hardware and software. Silicon Valley is the world’s most famous industry cluster! Porter’s third factor, supporting and related industries, addresses the importance of outstanding, innovative domestic suppliers for companies to be innovative and develop competitive advantage. Finally, Porter found that the competitive strategies that companies choose depend – to some extent – on their domestic, cultural context. For example, members of the top executive team in European companies, especially North European, tend to have a technical background. CEOs in European companies tend to have a Ph.D. in the relevant technical field and, hence, focus their attention on the technical aspects of the products rather than on the bottom line and short-term financial aspects of the company. What about Finland and Nokia’s success? It seems that the climate in and the geographic location of Finland, basic factor endowments, are most useful in explaining this company’s competitive advantage! Finland’s harsh climate, the land covered by snow much of the year, required innovation as to wireless communication – more than in many other countries. In conclusion, the companies that dominate certain industries in the global economy where able to develop competitive advantage based on the domestic conditions they were “blessed with.” In addition, countries that make investment in and development of advanced factors, such as infrastructure and education a priority create the conditions that are most important to domestic companies in their pursuit of competing successfully in the global market. Yvonne Stedham is professor of management, a 2010 University of Nevada, Reno foundation professor, and co-director of the Center for Corporate Governance and Business Ethics in the College of Business. She received a Ph.D. in business and an MBA from the University of Kansas, Lawrence, Kansas and undergraduate degrees in economics and business from the Rheinische Friedrich Wilhelms University, Bonn, Germany. She teaches undergraduate and graduate courses in international management and human resource management at the University of Nevada, Reno and the School of Management in Ingolstadt, Germany. Her research focuses on cross-cultural aspects of management and business ethics. Stedham serves on the State Council for the Society for Human Resource Management (SHRM) as well as on the Nevada World Trade Council (NEWTRAC). She provides consulting and training services to many companies, locally, nationally, and internationally. When choosing an MBA or an Executive MBA program there are many factors you are likely to consider. Schedule, cost, affiliations, location, are all criteria that I considered when choosing the EMBA program at The University of Nevada, Reno (UNR). The UNR program scored high for me in all categories. For example, UNR is my local university so it allows me to have personal interaction with the professors and the school itself. Such a luxury is rarely available with online or extended study based programs. Having personal interactions with your instructors is certainly valuable. Even in a time where digital correspondence rules the day in business, there is no substitute for personal relationships. These personal interactions and relationships go beyond student and instructor. With a program like UNR many of us in the cohort are local or at least regionally based so I have the opportunity to collaborate with my fellow students online and in person. Sure, personal interaction and relationships are nice, affordability of the program is important, and reputation is desirable. However, perhaps one of the most important questions that may be overlooked or “assumed” when choosing an EMBA program is “Who is teaching it”? The faculty in a program may well be the difference between an average and an exceptional education. At UNR, the same faculty that teach the nationally ranked part-time MBA program teach the EMBA program, and UNR’s part-time MBA program is ranked #4 in the nation for that category. As a student in the EMBA program at UNR, I know that I am getting the same courses and same instruction as the #4 program in the nation. As they would say in a Master Card commercial that is “priceless”. Certainly not all MBA or EMBA programs are created equal. So when choosing a program for yourself, I highly recommend you do your homework and know exactly WHO is doing the teaching. At UNR you won’t find grad students or part time instructors teaching the EMBA, and most of the instructors have doctoral degrees from AACSB accredited business schools. In the EMBA program at UNR, you will enjoy instruction from the same professors who built the nationally ranked MBA program. The consistency and quality this provides a program, regardless of the type of delivery is invaluable and worth careful consideration. I would certainly recommend the UNR EMBA program to anyone, but don’t take my word for it. The accolades of the program and more over the professors speak for themselves. Kurt is a student in the EMBA program at the University of Nevada, Reno. He earned his undergraduate degree in business administration with an emphasis in marketing at California State, Humboldt. 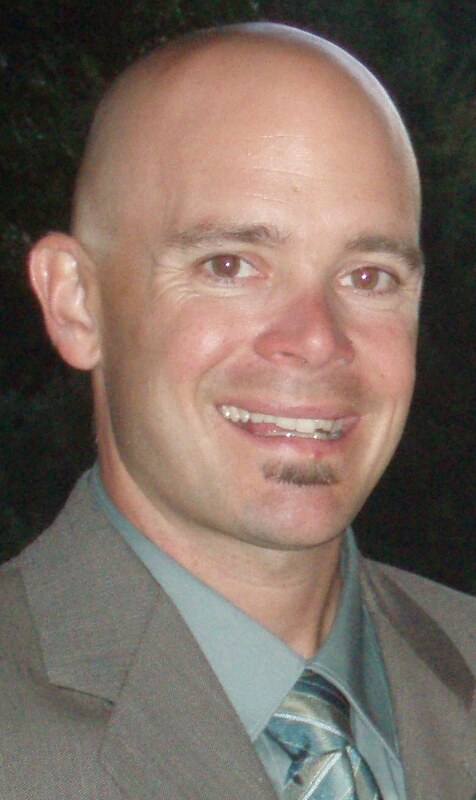 He has 15 years experience in a variety of business development and marketing positions and is currently the public relations and and business development manager for Care Flight, Northern Nevada’s helicopter ambulance. When spare time exists he enjoys the host of outdoor sports and recreation opportunities his home in Truckee/Lake Tahoe affords. Are Banking Regulations Heading In The Right Direction? The financial crisis of 2008 forced everybody to look at the bank regulations more carefully. There is one side which believes that over the period US banking industry was de-regulated which led to a lot of reckless risk taking. British banking regulator Donald Kohn, a former Fed vice chairman, told British lawmakers he had abandoned his belief that bankers’ self-interest would keep markets safe. “I placed too much confidence in the ability of the private market participants to police themselves”. Time and again other regulators across the world have expressed similar concerns. Public opinion has also been against banks. In a March 2011 national poll conducted by Bloomberg, only 19% respondents said that banking regulations were too strict. 76% said that current rule were too soft and should be tightened. On the other hand, some people believe that all the reaction and allegation about the role of banking companies in 2008 crisis is baseless. The newly appointed Chair of American Bankers Association, Frank Keating thinks that there were a lot of non-bank actors that contributed to the crisis. In his opinion, from pay-day lenders to Government Sponsored Entities such as Freddie Mac and Fannie Mae are all to blame for the crisis. In an interview recently he said “if you analyze the crash of 2008, most of it was the result of non-bank recklessness and the actions of the unregulated. The Consumer Financial Protection Bureau focusing in on, for example, payday lenders and mortgage brokers and the like — the non-bank sector — that’s not inappropriate and certainly jurisdictionally it’s legal. The average person doesn’t know that the banks represented around this table had zero to do with the collapse of the economy..” It is often argued that these regulations would raise the cost of credit which ultimately would hurt businesses and industry. How did banks fail to see what the true value of a real estate was? Banks are supposed to have a better sense of valuations than common bank. Who regulates real estate professionals, loan originators, appraisers and other input providers in a credit decision and what are their incentives? Did State Appraisal Boards ever look at inflated housing prices that form the basis of mortgage backed securities? Do these input providers face significant penalties for bad inputs? Did they help inflate home values and equity? Did deregulation of banking also accompanied with perverse incentive system for bank executives? For example, stock-based pay generally encourages executives to greater risk-taking. This could become more severe if these executives also have others’ money to play with. Banks enjoy a lot of this financial leverage. Did this leverage coupled with stock-based pay and low regulations encouraged them make highly investments? Dr. Arun Upadhyay teaches finance courses in the College of Business at University of Nevada Reno. His primary teaching area is corporate finance. Before moving to academic world, Dr. Upadhyay worked for several years with a commercial bank in the area of credit analysis and international banking. He received Ph.D. in finance from Temple University. Dr. Upadhyay’s research focuses on corporate governance issues. He studies corporate leadership structure and executive compensation. He has published articles on board structure in high quality finance journals such as Financial Management, Journal of Corporate Finance and Journal of Business Finance and Accounting. Much more than the average person, lifelong learners also listen carefully, and they do so with an open mind. They don’t assume that listening will produce big ideas or important information very often. Quite the contrary. But they know that careful listening will help give them accurate feedback on the effect of their actions. And without honest feedback, learning becomes almost impossible (p. 182). I think the overwhelming majority of faculty that teach in the Executive MBA program at the University of Nevada meet Kotter’s criteria of lifelong learners. The program director, Dr. Kambiz Raffiee, models the way for our group. Our program development meetings are always very productive. No one ever wastes our time with arrogant pontification or tries to dominate the conversation in order to force an opinion on others. We share a common goal, and we all actively listen to each other as we consider ways we can continually improve our courses to meet the high and evolving expectations of our executive students. The reason for Nevada’s long-standing opposition to the Yucca project is that it poses grave risks to public health and the environment. While Nevadans’ initial opposition may have rested on the perceived unfairness of being singled out for a facility no one else wanted, the state has since constructed a well-substantiated, scientific case against the project which is, according to the Obama administration, “unworkable.” Simply put, Yucca Mountain cannot physically isolate waste from the human and natural environment. For Nevada, the benefits of hosting the spent fuel temporarily could be enormous. First, the direct economic impact is far greater than any other project that Brookings or state economic development officials envision. Indeed, closing Yucca has already resulted in the loss of more than 2,500 of the best paying and highly technical jobs imaginable — positions that would be immediately restored. Remember that $17 billion had already been expended to develop the repository, but that funding has been cut off, thanks to the adamancy of our elected officials. What I found interesting about this debate was the results of the poll: 80% responded that Nevada should not continue its’ opposition to Yucca Mountain. This result is in contrast with most prior public opinion polls that show most Nevadans are opposed to Yucca Mountain, and this public sentiment has likely contributed to almost all politicians in Nevada being opposed to Yucca Mountain. Why the change in public opinion (in this admittedly unscientific poll)? Do you support the use of Yucca Mountain a permanent depository of nuclear waste? Should Nevada stick to its opposition to using Yucca Mountain as a nuclear waste storage facility or use the site as a research center and negotiate for benefits? Do you support Nevada negotiating with the federal government to host a temporary nuclear storage facility and research facility? If the poll was framed as in #1 above, I would suggest most Nevadan’s would say no, they do not support the use of Yucca Mountain as permanent nuclear storage facility. If the poll was framed as in #2 above, as it apparently was by the Reno Gazette Journal, then apparently 80% of respondents do not think Nevada should stick to its opposition of Yucca Mountain. If the poll was framed as in #3 above, then I am not sure what the results would be. What accounts for the differing results depending upon the frame? Psychological research suggests that framing decisions as gains or losses significantly affects our choice. For example, many people would not choose to not undergo a medical procedure where immediately after the procedure 10% of patients died and 60% were dead after five years. On the other hand many people would choose to undergo a medical procedure where 90% were alive immediately after the procedure and 40% were alive after five years. Notice that the statistical information describing the medical procedure is identical in both choices (i.e. 10% dead =90% alive, and 60% dead = 40% alive), but more people would choose the procedure when the data is presented the probability of living (gain) rather than the probability of dying (loss). Looking at the three Yucca Mountain poll questions posed above within the lens of gains and losses, Nevada respondents would likely consider the hosting of a research facility to be a gain and the storage of nuclear waste to be a loss. Thus #1 is primarily a loss (permanent depository of nuclear waste) and will be opposed, #2 is a small gain (as a research center and negotiate for benefits) and supported, and #3 as a gain and loss (host a temporary nuclear storage facility and research facility) making the decision more difficult. I have to wonder whether Nevadans’ have actually changed their opinions regarding Yucca Mountain or whether the frame of the question changed the results. As we move into the political election cycle and the airwaves are saturated with candidate advertisements, try and pay attention to how the marketing messages are framed. While we might hope for positive issue ads to dominate, the reality is the negative attack ads are more effective and will likely drive candidate spending. James Sundali is associate professor of strategic management. He received his Ph.D. from the University of Arizona and his MBA and bachelor’s degree in economics from California Polytechnic State University, San Luis Obispo. He has been at the University of Nevada, Reno since 1997 and has taught strategic management, corporate finance, game theory, bargaining and negotiation, individual choice behavior, organizations and the natural environment, the psychology of gaming, and managerial and leadership insights from film and literature.